Our city shines as a mining conference hub. Here’s something that may surprise you: Melbourne is currently hosting Australia’s largest mining event, the fifth International Mining and Resources Conference (IMARC) which, over four days, is expected to draw 6000 attendees from over 85 countries. The conference brings together decision makers, mining leaders, policy makers, investors, commodity buyers, technical experts, innovators and educators for four days of learning and deal-making. While Victoria isn’t the largest mining state, it IS home to the headquarters of many large mining companies including BHP, Newcrest Mining, MMG, Alumina, St Barbara and OceanGold, as well as Rio Tinto’s Asia Pacific regional headquarters. "With mining’s historical and traditional roots in Melbourne, the city is often regarded as Australia’s 'spiritual' home of mining and has become a centre of excellence in mining technology, design and engineering today, further enhancing its status as a global mining hub," says Melbourne-based Southern Innovation CEO, David Scoullar. In particular, the state is recognised internationally as a Mining Equipment, Technology and Services (METS) centre. "Victoria is home to an innovative and dynamic cluster of METS companies, which export their products and services all over the world," David observes. Our strengths, he adds, are built on 150 years of mining heritage, a highly skilled workforce and proven capabilities in mineral exploration, mining products, engineering consulting, information and communication technology, and financial and professional services. "These capabilities are helping to build Melbourne’s credentials as a global hub alongside the larger mining states, which are more traditionally seen as Australia’s key mining centres," notes David, who adds that in Victoria, we have capability in metropolitan Melbourne and in regional hubs including Geelong, Ballarat and Bendigo. "Victoria’s innovation ecosystem boasts a world class research and development infrastructure including the CSIRO, the Australian Synchrotron, and a strong academic community including the University of Melbourne and Monash University." David is well qualified to assess the sector as his company has been working with BHP since 2016. "BHP likes the way we work with them. According to the BHP Strategy & Innovation team, Southern Innovation represents best practice for how they’d like to engage with all METS companies," David explains. "We believe it’s important to do the right thing by our collaborating partners and are firmly focused on creating value for all." So what are the current strengths of the Victorian mining sector? "There’s momentum being created by large-scale international events like the IMARC conference," says David. "For Southern Innovation, we’re excited about the opportunities ahead. 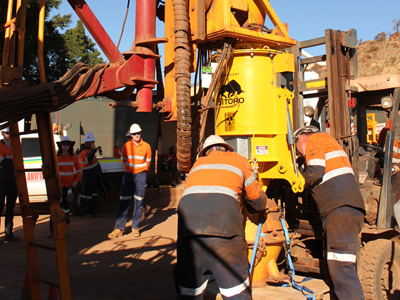 We recently completed our first field trial for our DrillScan™ technology in the Pilbara. From idea technology concept to implementation delivering a working device was just two and a half years – to our knowledge, a record for this type of equipment. BHP was impressed with its speed and quality of delivery as well as our focus on safety and design quality for use in a harsh environment." Southern Innovation is certainly a Victorian success story. A locally owned and operated company, it’s building new generation mining scanning equipment, based on proprietary techniques proven and commercialised in other industries. "Our technology offers faster, more accurate scanning," says David. "It’s highly complex signal processing algorithm was designed and developed by Southern Innovation founder Paul Scoullar and Professor Rob Evans during PhD research at the University of Melbourne. The purpose of this research was to develop more effective sensor technologies for humanitarian landmine clearance, as both Paul and I had exposure to the devastating impact of landmines on third world communities, having lived in Zimbabwe and Pakistan. "We’ve received valuable R&D support from Melbourne academia and the Australian Synchrotron, which enabled us to build the business here and stay in Victoria. If you have truly global tech, it shouldn’t matter where in Australia you’re based. 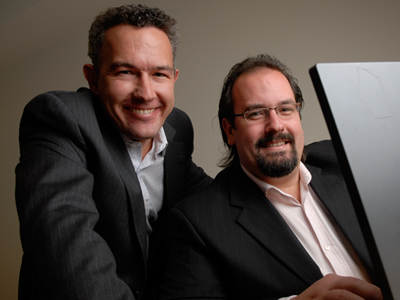 We feel incredibly lucky to live in Melbourne and operate a globally relevant business." The fifth annual International Mining and Resources Conference (IMARC) is on from 29 October to 1 November at the Melbourne Convention and Exhibition Centre.